Happy Tuesday! 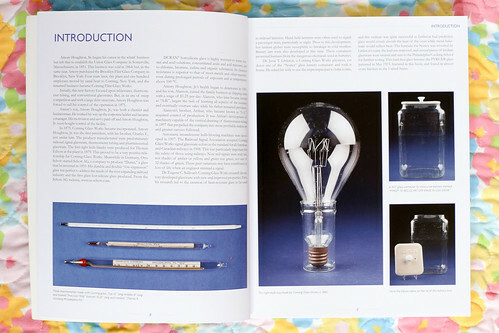 A few months back the folks at Schiffer Publishing asked if I'd be interested in receiving a copy of the new edition of Pyrex: The Unauthorized Collector's Guide. 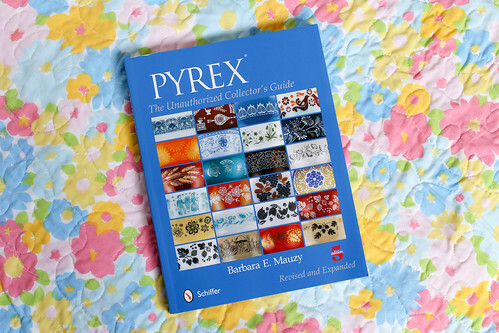 As someone who has collected a lot of vintage Pyrex over the years, I've somehow never owned one of these books, despite this being the 5th edition! 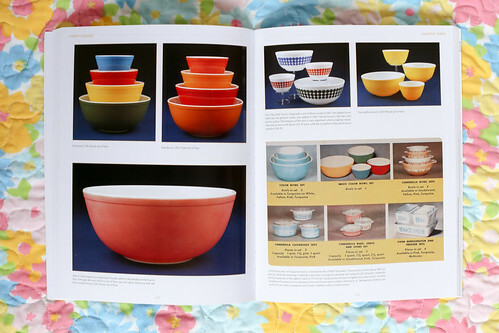 When it came to identifying Pyrex I always turned to the internet rather than books. 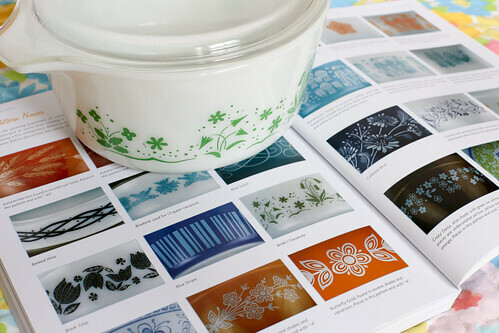 See my Pyrex collection here and my Pyrex 101 Series here. That being said, there is a lot of interesting information in this book. 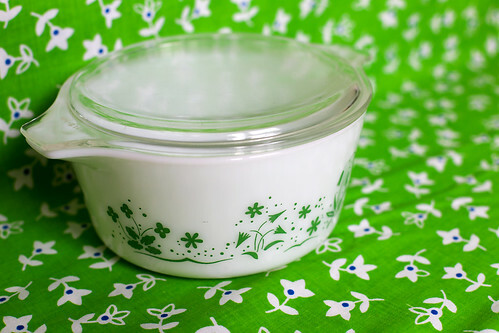 I think the most enjoyable thing about it is all of the background on the history of Pyrex. How the company that made Pyrex started, what they made originally and how they evolved to eventually make the colored Pyrex that is so collectable. For instance, check out those glass battery containers above! Too cool. I wouldn't say that this is completely comprehensive, I think the internet is still the best place to find a lot of identifying information, especially if it's a promotional or rare piece. This book is still a useful resource, and certainly helps to fill in some gaps! 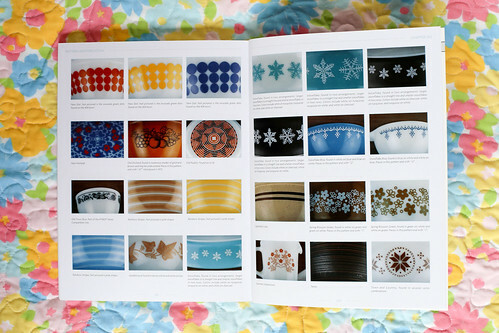 There is a handy pattern guide in the back of the book, with photos of many patterns. The identifying part has been one of my favorite parts of collecting Pyrex. Learning the pattern names, piece types, and then using the information to go out and find treasures! I miss doing that. Must plan a thrifting trip soon now that the weather is warming up! It's been a while since I acquired any Pyrex, but I was gifted a piece at Christmas this year! Michael's Mom had been holding onto a Bride's Casserole for me for a while, and decided to go ahead and give it to me. It must have had some magical powers or something, because Michael proposed a few weeks later. So that's pretty cool! A lot of times when I'm given Pyrex it's something I already have, or had at one time. This is one piece I never saw out in the wild! It's a welcome addition to my collection and is in great condition. Plus it came with it's lid! I still have a number of pieces left on my "want to find" list, but this is one I can cross off! 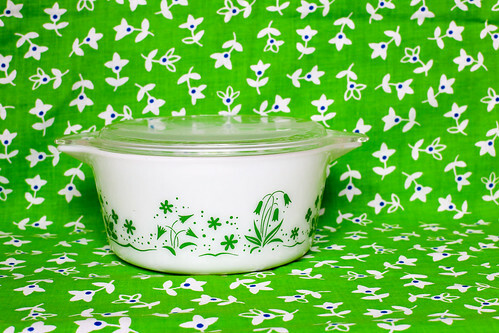 Each time I see one of your Pyrex I start to want one of them too. But I guess Europe doesn't have any colorful ones. So I often come over to your amazing blog and wonder around. I loved seeing this one too! I think, the nature like, green pattern is really amazing. I have 5 pyrex bowls in a set--all solid colors. I don't see too much of it in Canada and sometimes they are very worn out--especially the solid colors. I like the domestic feel of them--they seem natural and real.